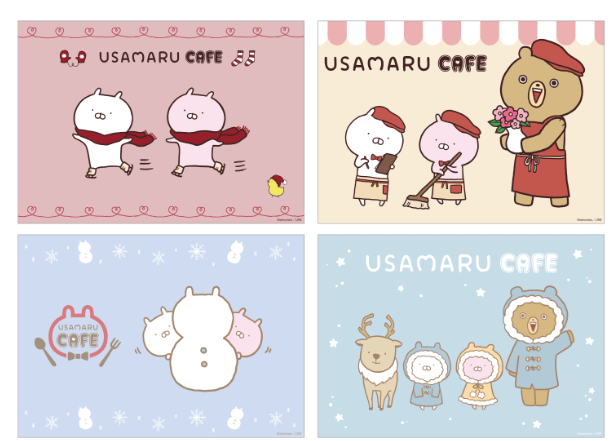 Three cafes themed on the popular LINE stamp character Usamaru opened in Harajuku, Umeda and Nagoya on November 2. 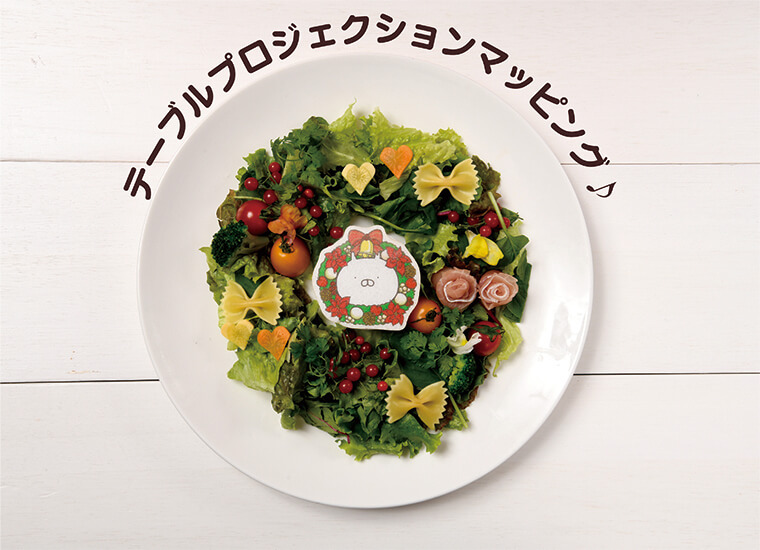 The cafes are now taking limited reservations for a special Christmas course and pair seats. Projection mapping is used on the table in collaboration with Sony Japan’s latest technology. 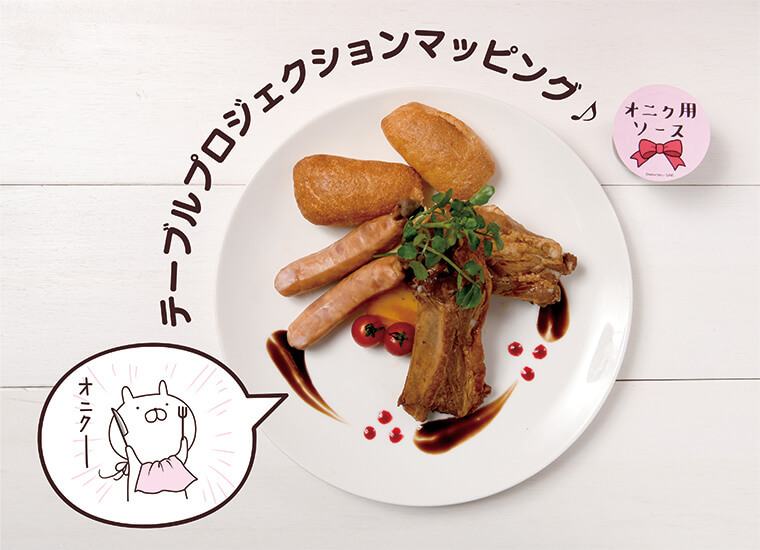 Once your meal is placed on the table characters will appear in front of you and perform animations. The animations are synced to whichever item you pick on the menu whether it be Christmas cake, non-alcoholic sparkling wine or something else. Customers can purchase a meal plan that features special Christmas projection mapping along with a special Christmas course. Those who do make a reservation will receive the pair of original acrylic coasters pictured above. Customers will also receive an original lunch mat upon entry selected randomly from a possible 4 designs. 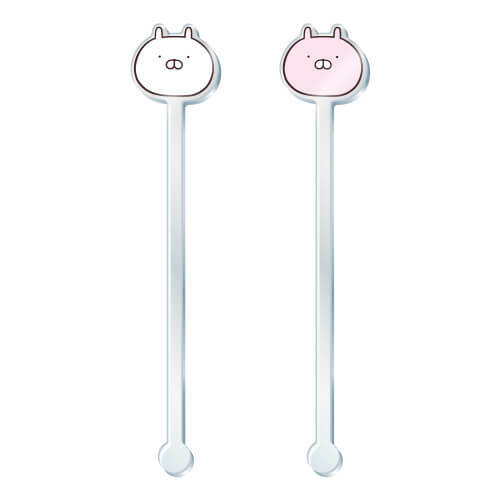 There are also stickers, muddlers and more to get your hands on, so be sure to roll up to the Usamaru Cafe this holiday season. How to Attend: Please book via the Usamaru Cafe website. *If there are seats available on the day customers may be served without a reservation. *Reservations for 2 people must be made to use the projection mapping tables (including the Christmas Course). *90-minutes allowed at projection mapping tables (including the Christmas Course).